When Little Debbie fans grow up, they grow out of their fondness for the famous snack-cakes. 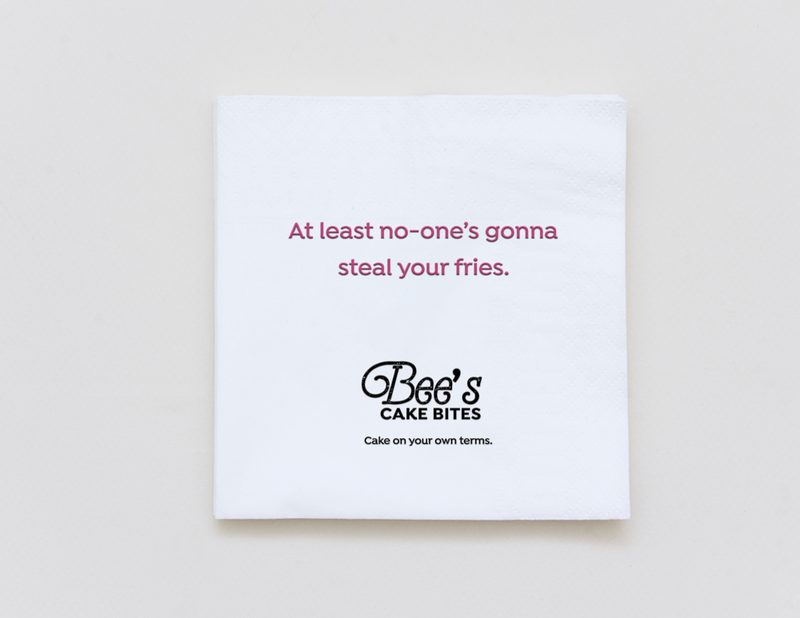 By expanding into the "cake bite" category, McKee Foods is able to create a product for Little Debbie fans to grow into. 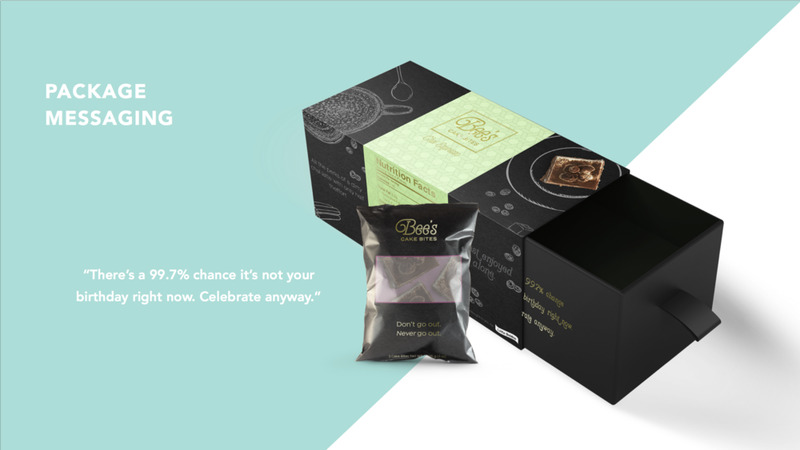 Introducing: Bee's Cake Bites. She's not Little Debbie, not yet Deborah. She's Bee. 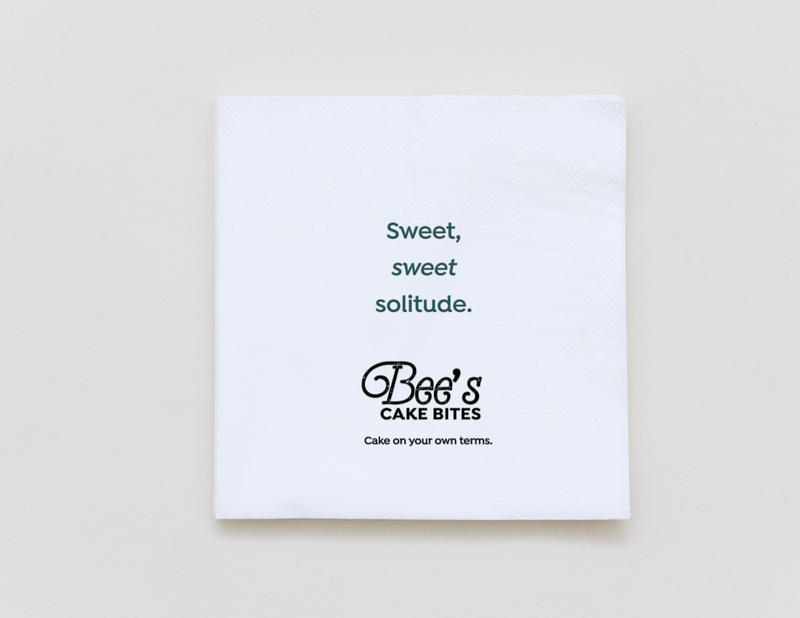 Bee's cake bites are bite sized pieces of cake that you can eat on your own terms. No social interaction required. Guests will be able to request a Bee's Booth for one. Bar coasters to let others know when you do or do not want to socialize. With Colleen Hiegel, Creative Brand Manager; Christin Johnson, Strategist; Kaitlin DeMayo, Co-Copywriter; Jansen Yoder, Art Director; Hector Rivas, Art Director; and Natasha Sligh, Experience Design.